As the refugee crisis enters its fourth year, the demographics of the men, women and children arriving on Europe’s shores are undergoing an unprecedented shift. 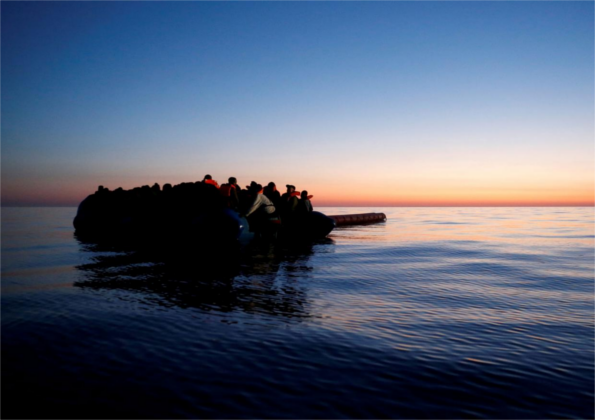 Syrians have so far made up the largest group of migrants attempting treacherous journeys across the Mediterranean Sea, followed by Afghans, Iraqis, Eritreans and sub-Saharan Africans. But as smugglers in Libya continue to expand their ruthless human trade, their counterparts in Asia are seeing an opportunity. In the first three months of last year just one Bangladeshi arrived in Italy, but the number for 2017 stands at more than 2,800, making the country the largest single origin of migrants currently arriving on European shores. Those rescued in the Mediterranean Sea have told aid workers they paid more than $10,000 (£7,750) each to be taken from Dhaka to Dubai or Turkey and onwards to Libya, where the violence and chaos engulfing the fractured country is fuelling powerful smuggling networks. The International Organisation for Migration (IOM) said the emerging route had dramatically changed the demographics of asylum seekers arriving in Italy, who until now have largely hailed from sub-Saharan Africa.